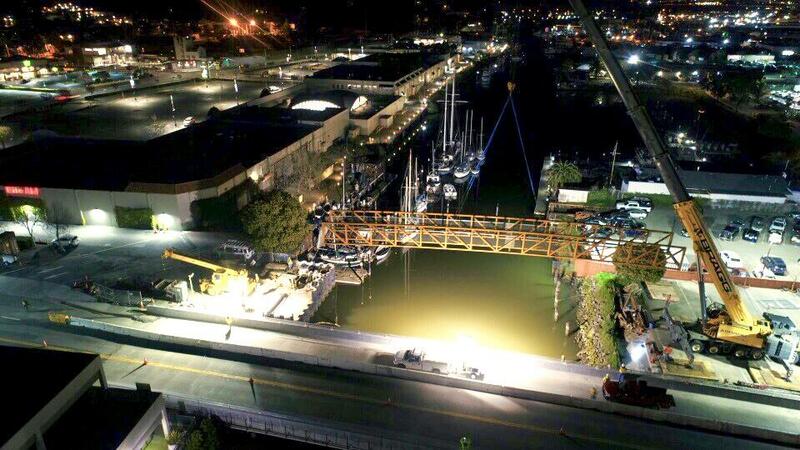 On Friday, March 15th, the City’s contractor hit a major milestone by installing the new pedestrian bridge over San Rafael canal. At 1:20 AM, a very large crane, stationed inside of the Toyota Marin parking lot, hoisted the bridge into place capping many years of planning and design. The installation of the bridge took a lot of preparation and we have received very positive feedback from passerby’s, all stakeholders and the public. Everyone is anxious to use the new structure. The final steps of the project include constructing the sidewalks, and ramps leading up to the bridge deck, and finally landscaping. We anticipate a grand opening sometime before Memorial Day!